In the last seven or eight years, the UK has seen an amazing growth in smaller breweries. With an estimated 1700 currently in operation across the country, the industry is undergoing something of a renaissance. As a result, general beer drinking habits are starting to change. The sheer choice on offer means that many people are more interested in variety and quality, than in sticking to the same drinks regardless of the available options. And there’s no better place to sample what’s on offer than at one of the country’s many beer festivals. The Campaign for Real Ale (CAMRA) has been around since 1971, and has made it their mission to promote independent, local breweries across the UK. 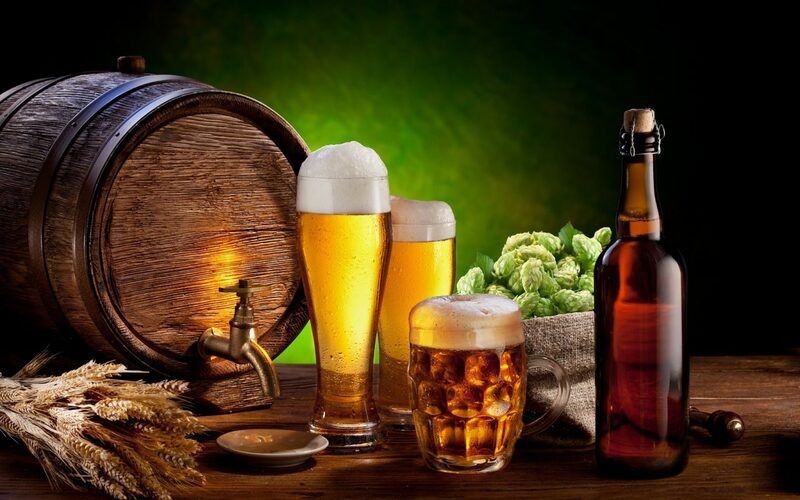 Their hard work has helped independent pubs and breweries re-establish their presence, in the face of an increasingly competitive industry dominated by larger companies. And Hop Kettle, based in Wiltshire, are just one of the many independent breweries that are reaching a wider audience, thanks in part to their active role in setting up community-based festivals. Beer festivals are more than just an opportunity for people to broaden their drinking horizons. They can also play a vital role in raising funds for village halls, churches and other community centres. However, many organisations may feel that they lack the equipment, expertise and connections to organise a successful festival. ‘Naturally the people organising the festivals aren’t landlords, so they don’t have any particular expertise in beer. What they normally have to do is rely on somebody to supply the equipment, such as racking or cooling gear, as well as the actual beer. Plus they need someone with the necessary know-how. When CAMRA helped organise the Swindon’s railway festival, Hop Kettle were able to supply all the necessary equipment, plus a team to keep it all up and running. They can supply everything a festival needs, including volunteers for transport, set-up and operation’. A well-run festival can be beneficial to just about everyone involved. Both CAMRA and Hop Kettle welcome any requests for advice and equipment, and are happy to help community organisations with everything they need for a successful event.